While E.T. The Extra-Terrestrial was more of a sappy Hollywood popcorn flick than serious science fiction, it’s still one of many people’s favorite movies of all time. One of the funnier moments in the movie is when Gertie dresses up E.T. as a diminutive woman. Now you too can replicate this scene at home, assuming you’re prepared to drop $335 of your hard-earned money. 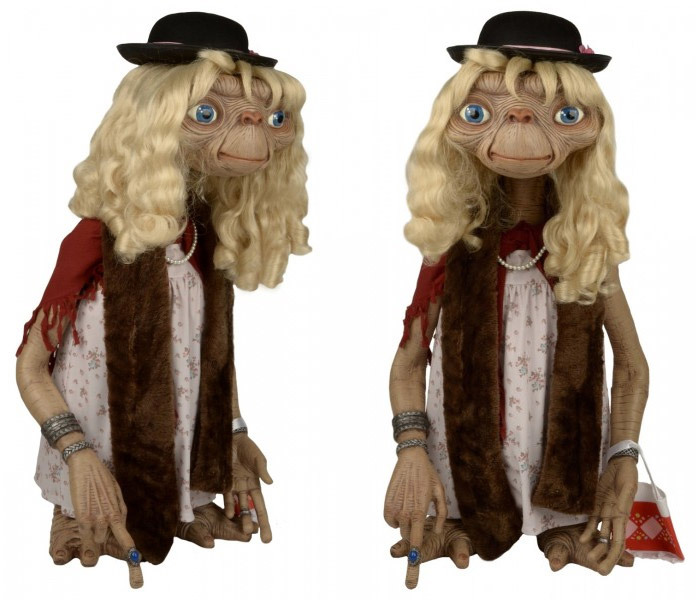 This limited-edition foam rubber and latex replica figure from NECA stands almost 3-feet-tall and includes all of the dress-up items seen here, though you’ll have to find your own double of Drew Barrymore as a child.